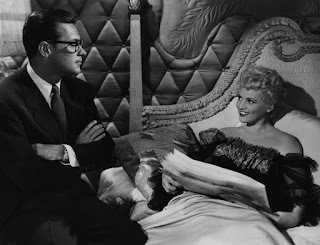 A romantic comedy bundled into an anti-corruption civics lesson, Born Yesterday boasts a stellar Judy Holliday performance but is otherwise loud, stage-bound and simplistically trite. Harry Brock (Broderick Crawford) is an unsophisticated and loudmouthed New Jersey-based scrap metal tycoon. He arrives in Washington DC with his lawyer Jim Devery (Howard St. John) to arm-twist corruptible congressmen into bending upcoming legislation in his favour. Accompanying Harry is his long-time girlfriend Billie (Holliday), who is attractive but uneducated enough to allow herself to be used by Harry and Jim to hide questionable business transactions under her name. 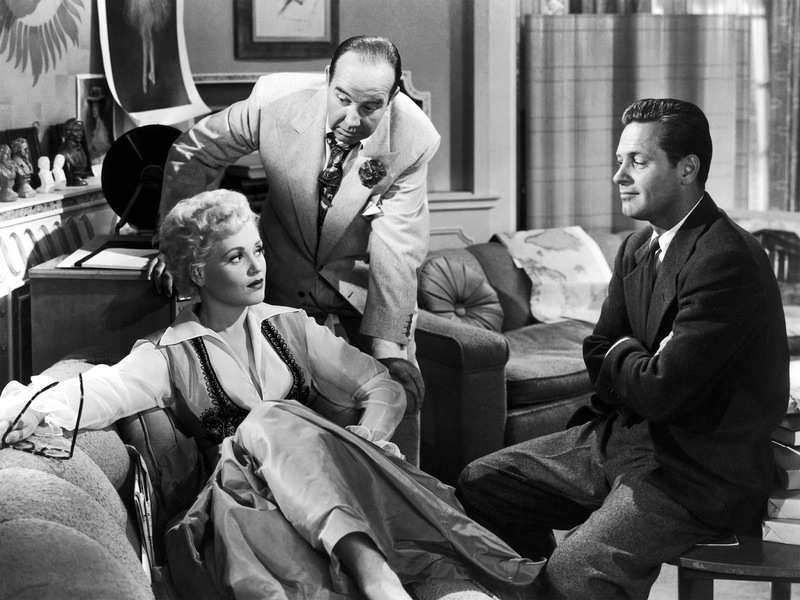 Journalist Paul Verrall (William Holden) interviews Harry, and then at Jim's suggestion Paul is hired to improve Billie's level of sophistication and her conversational skills to help her better integrate into higher social circles. Billie starts to read the newspaper and absorb all that Washington DC has to offer, while getting crash lessons from Paul on democracy, the law and the ethics of the founding fathers. With her awakening she begins to dislike her role in Harry's questionable deals, and at the same time an attraction evolves between her and Paul, threatening Harry's entire business empire. Broderick Crawford barks his lines with the uncouth manner of a junkyard dog, Judy Holliday deploys the high-pitched, heavily accented tone of designated trashy airheads, and William Holden sleepwalks through the film with the air of straight arrow righteousness. As directed by George Cukor, this play adaptation is loud, shouty and stage-bound, with a few good chuckles that hit the mark. Billie's education and growth holds some interest, but once it starts her transformation is a singularly linear and predictable journey. Recreating her on-stage success, Holliday's performance saves the film. She demonstrates a deft comedic touch and impeccable timing, with tiny gestures and pauses to convey Billie's limited brain whirring away at maximum speed to catch up with her surroundings. She nabbed the Best Actress Academy Award ahead of Bette Davis and Anne Baxter (both for All About Eve) and Gloria Swanson (for Sunset Boulevard). Her costars suffer in comparison. Crawford's schtick gets tiresome quickly and Holden almost disappears into the wallpaper. Stylistically Born Yesterday generally settles for being a well-filmed play. Most of the events take place in the spacious multi-suite hotel wing occupied by Harry Brock. Cukor attempts to break the monotony by inserting some outdoor scenes of Billie exploring the capital, but these never rise beyond the perfunctory and come across as a tourism campaign. Eleven years after Mr. Smith Goes To Washington exposed movie audiences to what the world of politics is really like, Born Yesterday somehow tries to hang on to a quaint idealism. The film's key message is that government is mostly good, and while there may be a few loose elected officials who can be corrupted, the real problem lies with scoundrels like Harry Brock. It's a fanciful stance that both hampers the film and dates it into a bygone era. Born Yesterday offers decent enjoyment thanks to a terrific central performance, but it is also shallow in content and confined in location.